Hi everyone! 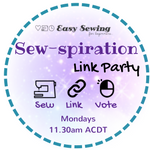 Welcome to the second Sew-spiration link up party! 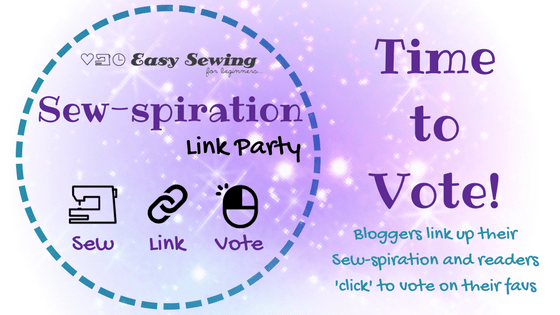 This is a weekly link up party for bloggers to come and link up their Sew-spiration (in the form of free sewing projects, sewing how tos, etc) and the readers can come and vote on their favourite link ups for the week! A big thank you to everyone who participated last week. I know it was a great source of new sewing tutorials and how tos for my Pinterest boards! The guidelines of the link party have changed just a tad from last week. Thank you to the participating bloggers for their great suggestions!